I am a fan of the 1970's version of the Tomorrow People television series. Despite people criticizing the acting, I saw through many of the series flaws and really resonated with some of the ideas in it. In many ways, if some of the ideas had been developed a good bit further, I think someone could have made a blockbuster movie. I was further inspired by the book "Ender's Game" by Orson Scott Card. I became so inspired, that I wrote a four part serial novel. This novel is not fan fiction of the original series but a completely separate story line. The story has some of the same flavors and themes of the series but is completely distinctive. So if you read it expecting to be another episode of the Tomorrow people, you will be disappointed. But if you are looking for a book series with some of the same feel and similar gadgets, then my serial is for you. 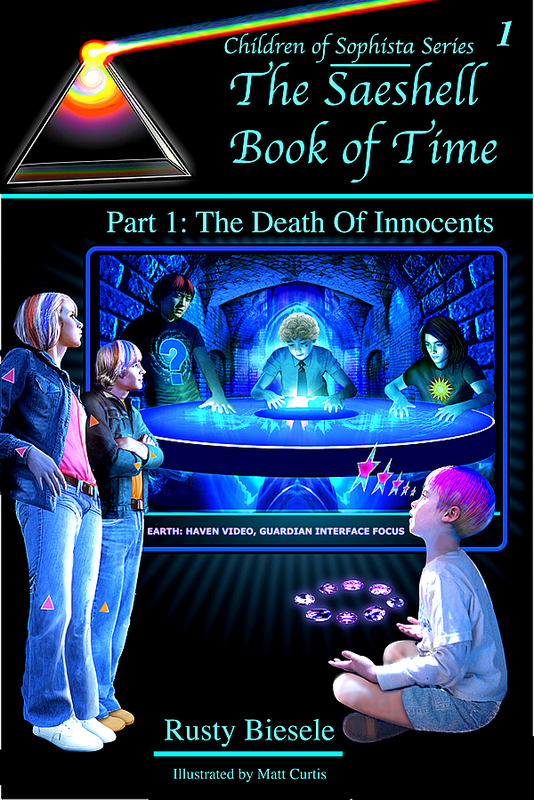 The serial I have written blends fantasy and science fiction adding a much greater dimension to the story. If this description has made you curious, then I suggest you click the link and visit The Children of Sophista Book Series. 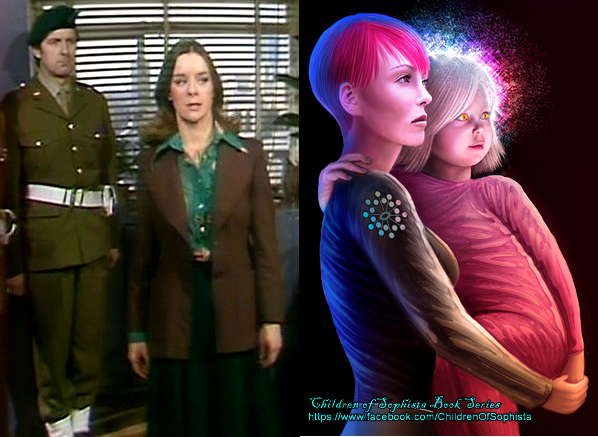 I thought it would be interesting to compare Trisha Conway from the 1970’s Tomorrow People Season 4 (left side of picture) with the Federation Police Officer character on the right side. The Federation Police Officer (FPO) is a major character in "The Saeshell Book of Time" and she does have a name but revealing it would reveal some of the plot of the book. When I saw Trisha while watching the series, it gave me the idea for the FPO. Trisha is an interesting study because in the 1970’s, writers were still having trouble understanding what a woman in a more dominant, driving character role would look like. Trisha started out being the secondary character to Col. Masters of the British military intelligence branch that did research into ESP. Their initial mission was to use ESP as a weapon and thus they attempted to intimidate and blackmail the Tomorrow People into being their weapon. This leads to a seemingly irresolvable conflict in that the Tomorrow People only have stun guns whereas the military has real guns. The resolution is most unexpected and I encourage you to watch the third season story, “Secret Weapon”. 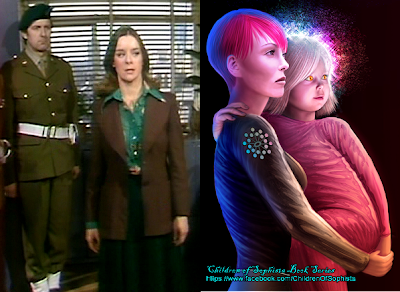 In the fourth season, Col. Masters is killed and Trisha is thrust into a lead position (without a rank or a uniform). The character becomes very interesting because she becomes a mix of the obligatory female vulnerability and the strength of a leader, though the strength she is allowed is not nearly strong enough for such a lead role. Trisha eventually does become a Tomorrow Person and is sent off to be trained to be a Federation Police Officer and is thus dispatched to oblivion in the series. There are all sorts of interesting things that were left on the floor in the series surrounding Trisha. Roger Price, the series creator, was facing the Zombie Apocalypse at this point as this one season series had failed to die. Now he was in season four and wondering where the story was heading next. Luckily, I have yet to reach that point. So I approached my FPO a bit differently. She was born in the Federation as the privileged daughter to a leader of the Federation and her vulnerability as a prized (spoiled child) starts there. Daddy dearest decides that in the “violence free”, dystopian Federation, a soft daughter might have a limited lifespan. So he sends her off to the Federation Police Academy, which is the equivalent to Earth Special Forces. Her two tools are a stun gun and a device for sterilizing people against reproduction (covertly). So it’s only her toughness and infiltration skills that allow her to survive trips the uncivilized words, such as Earth. When she encounters the very emotional, sentimental, and overwhelmingly powerful Children of Sophista, her emotional side begins to reemerge. This turns the 1970’s problem with the Trisha character upside down, with my FPO having to rediscover her soft humanity while maintaining her capability as a Special Forces officer. Everyone has hidden talents. At some point in your childhood, you selected a fork in the road and decided which of your good talents you would pursue. My first fork led me through government funded school research, corporate funded research, finally to various bleeding edge projects in Silicon Valley. Now, I am looping backwards in time so that I can try the other fork. I am on a campaign to help kids keep those brain cells us adults no longer have. Use them or lose them.